The presence of asymmetric links is a common and non-negligible phenomenon in many ad-hoc networks, including MANETs and sensor networks. Asymmetry is caused by node mobility, heterogeneous radio technologies, and irregularities in radio ranges and packet loss patterns. Most existing ad-hoc routing protocols either assume fully symmetric networks or simply ignore any asymmetric links. In the first case, route discovery can fail when the symmetry assumption does not hold true, e.g., many reactive routing protocols rely on a two-phase communication process, where the same path is used to communicate between a sender and a receiver. If a single link on this path is asymmetric, the route establishment may fail. In the second case, asymmetric links are identified and explicitly ignored in the route establishment phase. This can lead to route discovery failure if there is no symmetric path between a sender and a receiver or it can lead to less than optimal routes. This document provides an overview of routing protocols that explicitly consider asymmetric links in the route discovery phase and introduces robust mechanisms that bypass asymmetric links to ensure successful route establishment. Ad-hoc routing protocols are mainly classified into on-demand reactive routing protocols and table-driven proactive routing protocols. It has been widely accepted that reactive routing protocols are superior to proactive routing protocols in that the control overhead is smaller when the number of connections handled by the network is also small (Lee, Gerla, & Toh, 1999). 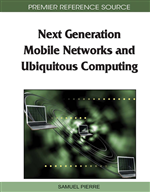 Significant work has been done in the development of on-demand reactive routing protocols for wireless ad-hoc networks. In such protocols, when a source node has a packet to send, it invokes a route discovery process to establish a route between the destination node and itself. In addition, nodes along a route (source and intermediate nodes) must perform route maintenance tasks whenever a route fails (e.g., a link breakage has occurred). However, all links are assumed to be symmetric; therefore, this section provides a brief overview of some well-known on-demand reactive routing protocols and how they fail in the presence of asymmetric links. In AODV (Perkins, Royer, & Das, 2000), each node receiving an RREQ (Route Request) packet, rebroadcasts it until the packet reaches the destination node or a node that already has a path to the destination. This node replies with an RREP (Route Reply) packet, which is sent back to the source node across the newly discovered route (i.e. the reverse path). If there are one or more asymmetric links in the route, the RREP packet will fail to reach the source node and therefore a route discovery failure will occur. In DSR (Broch, Johnson, & Maltz, 1998), similar to AODV, an RREQ packet is flooded into the network to establish a route when a source node has data to send. The destination node selects the shortest path and an RREP packet containing the path information is routed back to the source node. Thus, in the presence of asymmetric links during the RREP propagation, the recorded source route cannot be successfully sent back to the source node.